3D printing and additive manufacturing processes are increasingly being used in to achieve quick turnaround on prototypes and to generate complex models cost effectively in low volume. Preparation of the geometry is the key to getting optimum results with 3D printing. The geometry conversion and repair tools in TransMagic can save hours of frustration, lost time and wasted materials. Here are 10 ways TransMagic can help you: 1. Watertight Models: Designs used for 3D printing need to be watertight solid models. Figure 1: TransMagic Repair tools create watertight solids. 3D printers pre-process models into very thin horizontal slices of the part. 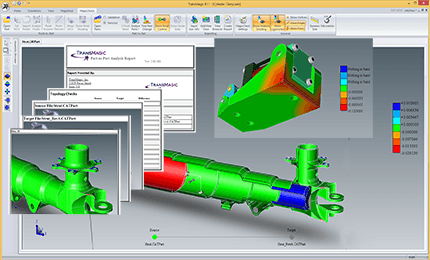 Watertight geometry is necessary for the preprocessing step to avoid errors. The geometry repair tools in TransMagic SuperView, Pro and Expert, can make fast work of correcting geometry issues by stitching loose surfaces together to create a watertight solid. Repairing a 3D model is best done prior to converting the file to the STL format used by 3D printers. For models with more extreme geometry problems and errors, TransMagic’s MagicHeal has the power to close gaps, fix self-intersections and replace missing faces with minimal effort(see figure 1). 2. STL Mesh: Successful 3D printing or additive manufacturing demands a high-quality STL mesh. 3D printing has many different uses, such as checking fit, function, ergonomics, esthetics, etc. Quality constraints can vary between a prototype and a finished part. 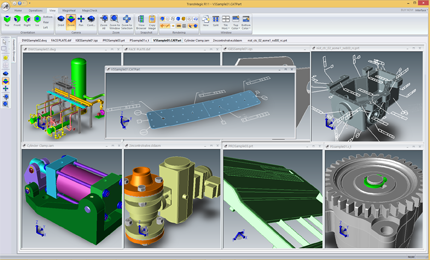 The STL Mesh controls many aspects of the part quality. A fine mesh will help avoid ‘flat’ faces on curved surfaces to optimize aesthetics and functional designs. 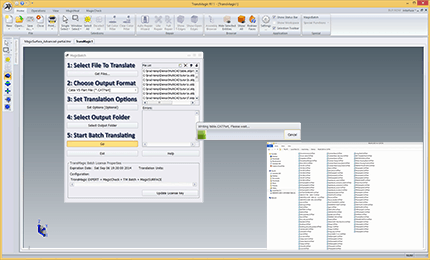 All TransMagic products allow the user to optimize STL faceting for a wide range of needs, enabling nearly infinite mesh control and density. Angle control and Chordal deviation controls allow the designer or engineer to determine exactly how closely the STL mesh will follow the original CAD model geometry. Note the optimization control you have and the range of options available. 3. It is important to know if the part will fit within the build envelope. 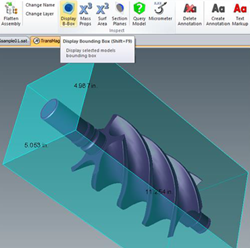 Figure 2: TransMagic’s Bounding Box – minimum xyz envelope of your part. 3D printing has many different uses, such as checking fit, function, ergonomics, esthetics, etc. All 3D printers have a finite build envelope which the part must fit into. 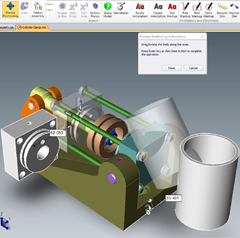 All TransMagic products offer a one-click Bounding Box tool that instantly builds the minimum size box, in X, Y, and Z dimensions, that will encompass the part. The Bounding Box dimensions show up automatically for easy reference (see figure 2). 4. 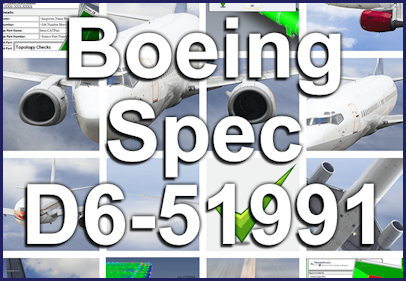 It is important to know much material will be required for each print. Whether it is a part or an assembly, it helps to know how much material the geometry will require. Part Volume can be estimated quickly by clicking the X3 button on the menu bar. Other part data included with the volume are center of gravity, mass (based on selected material density) and inertial moments. 5. Separating or isolating parts from an assembly. Sometimes it may be helpful create discrete STL files of all of the parts in a multi-part assembly. TransMagic offers a feature, called Atomize, which does exactly that. An entire assembly can be broken into individual STL part files, so that each part can be printed separately. With a single setting, TransMagic can make the process happen automatically. 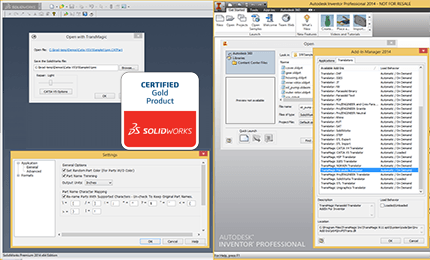 TransMagic’s Atomize feature will automatically break the entire assembly into individual part files in any supported format. If you have lots of these assembly files, the MagicBatch add-on will allow you to turn hundreds of full assemblies into separate part files in minutes. 6. 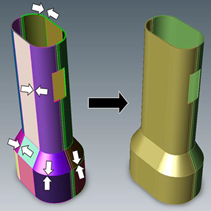 Printing 3D working assemblies can require the ability to import and position components. Figure 3: Precise Positioning let create your own assemblies for 3D printing. 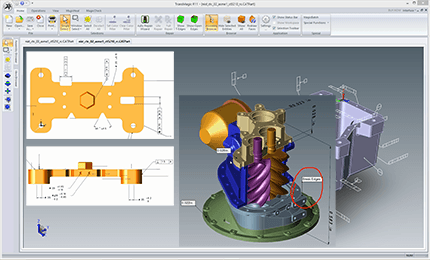 TransMagic lets you import parts and place them using the new Precise Positioning tool to optimize parts for printing or mating. Parts can be aligned in many ways including the use of planar alignment, concentricity, parallel edges, linear transforms, rotational transforms, 3-point transforms and freeform transforms(see figure 3).